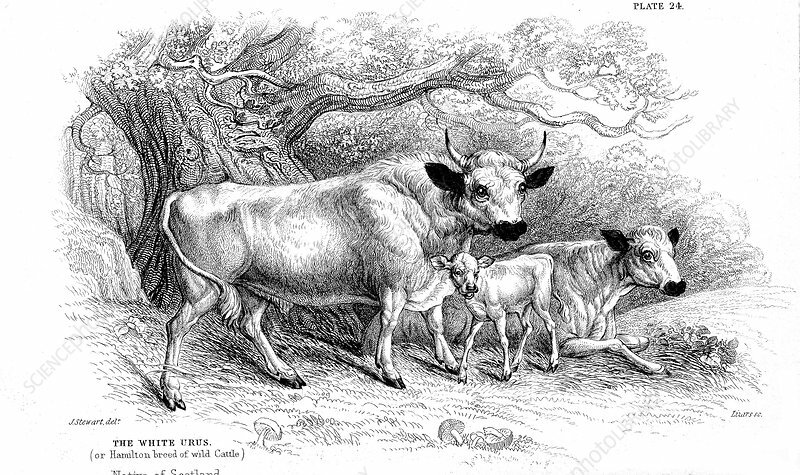 British wild or park cattle. The Hamilton strain (Scottish), and the Chillingham (English), two examples of ancient breeds surviving in a few small herds in Britain through having been enparked centuries ago. Artist: William Jardine.